Lightroom Classic Tutorials > Organizing Photos > Folders on the Hard Drive > How do I move only my photos to another hard drive, leaving the catalog where it is? If you need to move photos to another hard drive, perhaps because you’ve outgrown your existing hard drive, there are two main options. As a rule of thumb, you can use option two for moving a few photos/folders, but option one is safer when moving larger numbers of photos. Close Lightroom and use Explorer (Windows) / Finder (Mac) or file synchronization software to copy the folders/files to the new drive. When the copy completes, rename the original folder (the one on the old hard drive) using Explorer (Windows) / Finder (Mac), or disconnect the old hard drive. This allows you to check everything is working correctly before deleting the files from the original location. Open Lightroom and right-click on the parent folder. Select Find Missing Folder or Update Folder Location from the list, depending on which option is available. Navigate to the new location and press Select Folder (Windows) / Choose (Mac). The folder disappears from the old volume (drive) in the Folders panel and reappears under the new volume bar. If you have more than one parent folder, repeat the process for any other parent folders until the question marks have disappeared from all the folders. Once you’ve confirmed that all the photos are available for editing within Lightroom, you can safely detach the old hard drive or delete the files from their original location using Explorer (Windows) / Finder (Mac). Within the Folders panel, drag the folders to their new location. One warning—don’t press the X in the Activity Center to cancel this move. There have been (rare!) reports of problems caused by canceling the transfer, so it’s best to let it complete uninterrupted. Check that the entire folder contents have copied correctly before deleting the originals. If you drag individual photos to the new location, rather than whole folders, remember that files that aren’t currently in the catalog (e.g. text files) won’t be copied as Lightroom doesn’t know that they exist. If you’re moving a large number of files, I’d recommend using the first option, as it tends to more reliable. Personally, I use file synchronization software such as Vice Versa (Windows) or Chronosync (Mac) to transfer the photos to a new drive, because it allows me to verify that all of my files have moved correctly, byte-for-byte. File synchronization software will allow you to do a one-off copy, as well as proper drive synchronization. Using these instructions to update the location in the catalog is essential. Don’t import the photos at the new location, or use Synchronize Folder to update the folder references, as you’ll lose all of the work you’ve done on them in Lightroom. For more questions on Lightroom Classic, see my book Adobe Lightroom Classic – The Missing FAQ. Thank you It is about time some one showed this . One more thing i want to ask when bring raw files out of camera do you take the raw and put them in to a folder and then bring that folder in to LR . what I am trying to do Is keep my Raw files safe from LR . Putting them all in One place and hopeing to import them in to LR from a folder I have made out side of LR . can this be done are how do you do it . I hope I explaind this right . Main thing to bear in mind is there’s a slightly higher risk of catalog corruption when the catalog’s on an external drive, simply because it can accidentally disconnected more easily, so just make sure you take regular backups. To do so, use the instructions above to move the photos to the external drive and relink the files. Then quit Lightroom and move the catalog itself (along with its previews) onto the external drive too. Then double-click on the catalog file to open it into Lightroom, so that Lightroom knows where to find the catalog in future. When you plug the external drive into the other computer, double-click on the catalog on that machine too. Mac’s are quite easy for regular switching as the drive name remains the same on each computer, so the photos don’t go missing when you switch. If you use presets, you might also want to think about using the Store Presets with This Catalog checkbox in Preferences, so that they’re available on both machines, but you’ll need to copy the presets to the local folder on the external drive as that doesn’t happen automatically. Thanks very much, Victoria. That’s brilliant. Is there any more complications having the catalogue and photos on an external drive if the two computers happen to be a Mac and a PC laptop? I have my catalogue and raws on my desktop and am happy with it. But what to do on vacation. I havr a laptop with me and will empty my camera card on that. Or on an external HDD, whichever wiuld be recommended. I’d like to do some LR on these photos on the laptop, but i’d like to be able to import these raws and the adjustments and rankings on my desktop when i get home. I do setup with writing to xmp ON. What would be the best way to accomplish that? I’d start a new catalog on your laptop (or external drive) just for your holiday photos, and then use Import from Another Catalog to merge it into your desktop catalog when you get back. 1) When done, can i simply import the catalog back into the master catalog and will it slot into place as it once was in the right area? 2) Can I work using the previews only exported with the catalog? I don;t want to copy all the images to my laptop too? 3) Will this actually speed up LR?? I’m in a pickle, I need help big time please. I’m using LR4 and have all my image files in an Ext. HD, but is now full. It has almost 1TB. I purchased (2) Ext Hd – 1-3TB 1-4TB. I already have (2) back up copies (one back up copy the Ext is also getting full. Either is fine Dave. Personally, I’d copy the existing photos to the new drive (using Option 1 above), because I don’t like having a whole queue of external hard drives lined up (too many plugs and cables!!) and it simplifies backup. But if you want to keep the old photos on the 1TB and put new ones on the new drive, that’ll be fine too. Naming the new drive the same as the old drives means you can skip most of the steps above, because Lightroom would find the photos at the same path. If you go for a different drive name, then you just have to follow the instructions above to relink the files once they’re on the new drive. Victoria I have folders with images set up on my external hard drive. I would like to add images from my desk top to those already existing folders within my EHD, but LR is not showing those folders. How do I get LR to show those folders so I can move the images. If the folders are empty, you still use Library menu > New Folder. If there are already photos in the folder, you’ll need to import one of the photos (even if you then remove it again). I used your method to back up my catalog to an external drive, but now I’m having an issue opening it on a second computer. When I attempt to open it as a catalog, I get an error message stating that I can’t open a catalog from an external drive. Do you know why this would be happening? Thanks! Most likely a file permissions problem, that you don’t have permission to read/write to that drive. I checked that, and I have permission to read and write to the drive. 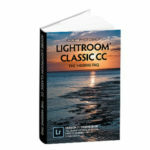 The error message says “Lightroom Catalogs can not be opened on network volumes, removable storage, or read only volumes”. Victoria, I figured it out!! Thanks for all of your great blog posts. Keep up the good work. When selecting an external drive for photos does it need to not be encrypted? I started copying folders to an encrypted drive that I been using as a Time Machine backup but it’s asking for the password every time I copy a folder on it. I assume it will ask for the password every time I edit an image in the future? Not good. I don’t generally make my external encrypted, and yes, I imagine that would be very frustrating! Thanks for the info. Very helpful website! I don’t quite understand why you’re trying to rename the Pictures folder on the desktop, when you’ve just said you’ve copied the photos to the external drive. If Lightroom is updated to look for the photos on the external drive now, then it won’t be looking in the internal Pictures folder at all. For new imports, just select the external drive’s folder in the Destination panel of the Import dialog, rather than the default Pictures folder. Yep, you’ve got it. Back your catalog up first just as a safety net, then you need not worry about messing it up. I’m a complete novice. I eas running out of memory on my cpu. The kid at best buy said to just get an external hard drive, and click and drag. Si I hot 10,000 pics moved to the E drive, and I don’t think I lost anything? My question is: how do I link my desktop, screensaver pics to the picture files on the E drive? I’m not quite sure what you mean by “how do I link my desktop, screensaver pics to the picture files” – are these photos that are cataloged in Lightroom (in which case you’ll use these instructions) or something else? I moved my images to a new, larger internal hard drive using Lightroom. However, I made the mistake of opening the complete image folder, selecting all images and dragging them into the new folder on the big hard drive. all the images transferred, but the year/date folders that they were in disappeared and they’re all in one giant folder without dates. Is there any easy way of getting the images back into day folders? Not an easy way Michael. If you have a backup of the folders in their old folder structure and a backup of the catalog too, you’d be best just to restore the backups and try again. Beyond that, you can use the metadata filters to select a year or month’s photos at a time and manually recreate a folder structure. I wouldn’t bother to go all the way down by day – month folders inside year folders is plenty for most people, and fairly quick to set up and drop the images into. There’s a post coming up on this very subject… currently scheduled for around 8th May. Victoria, A friend copied Lightroom CC from a Windows laptop to a new Windows laptop everything seems fine except my Lightroom mobile. When I tried to sync my LR mobile on the new machine it told me I could only sync one catalogue, would I like to sync this catalogue instead, when I pressed yes I got a message saying another catalogue was syncing ir cat, switching between catalogues wasnt recomended. The catalogue are on both internal C drives, should I put them on an external drive to use between computers, I dont want to loose all my current LR mobile photos on my iPad, but need to use the new computer for them in future. Can you give me some advice or a link to do this. Love the way you explain LR, thanks you so much for all the information you provide. 1. 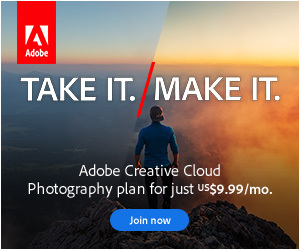 Is this a one-way move, or will you continue to use Lightroom on both computers? 2. Are you certain that she copied the catalog, and didn’t just import the photos into a new catalog? The reason I ask is just moving the catalog shouldn’t ask whether to switch. 3. Is everything safely uploaded from your iPad to the cloud and back down to your computer? If you have catalog backups that contain the metadata/edits, then it’s fixable, don’t worry. Have you done much work since that first backup, that you’d be upset to lose? If you’ve done additional work or imported new photos since that first backup, it’s still fixable in the same way, but you then might need to do a little more juggling to get those edits/new photos into your new working catalog too. If that’s the case, post the story on the forum at https://www.lightroomforums.net with more detail, and we’ll help you from there. Using the forum software just means it’s easier to communicate and we can share screenshots more easily than in blog comments too. Don’t worry, I’m sure we’ll figure it out. Worst case scenario, I do offer live support (under the Shop menu) but it may well be something we can figure out by forum posts for free. It’s certainly not the biggest mess we’ve dealt with… at least you had backups!! I downloaded pictures from my camera onto my hard drive, from there I imported them into lightroom, then somehow deleted only a few of these particular pictures. At this point I’m able to only find them in LR but of course it states that I cannot do anything with them because the originals cannot be located. I actually went as far as to restore everything in my trash file with no success at finding them. I do back up my files frequently but there was such a short time from original download to loss that I don’t think they were included in the backup. I have looked there as well and still don’t see them. I’m so confused and frustrated at the fact that the pictures, whether original or not are right there, right in front of me on LR, yet I cannot have them, I cannot save them export them….NOTHING….Is there any hope? and beneath Pictures are all the folders that actually contain images, organized by Year, from 2014 to 2017. Each of “Users”, “User”, and “Pictures” show 22809 files, so I believe “Pictures” is the actual parent folder. What I really want to do is just move the older files to a new server, say years 2014 and 2015, leaving the more recent files on the laptop. Each year of course has its own subfolders. So I'm not wanting to move a parent, per se, but to copy a year's worth of files using Explorer, following Option 1 in the article. Will I orphan files? Right now the laptop is full, only 2 gigs of space left. Thank you for having a look at this. That’s fine Miles, just go ahead and move the year’s photos, then right-click on the year folder in LR and go to Update Folder Location and reconnect it with the new location. But will I be able to see at least some kind of low-res previews when the external drive is not connected? If the catalog’s still on your internal drive, and you’ve built previews before you disconnect, then yes. To be sure, Library menu > Previews > Build Standard-Sized Previews. If you want to be able to edit without the drive attached, you’ll want Smart Previews as well, from the same menu. Please help! I followed your directions for Option One… well, except I wasn’t able to rename my original “Pictures” folder because I’m on Mac– so I hid it within another folder. “Merge” and “Cancel” are the only options. What will happen if I merge? Help! Merge is fine. It’s worth having a catalog backup first, just in case you don’t get quite the result you expect, but it’s usually the right choice. May I suggest using FreeFile Sync as an option for moving large quantities of data from/to different drives? It’s an Open Source utility and free to use (www.freefilesync.org). You can use it to synchronize, mirror or update files and folders. It’s fast, reliable and easy to use. I’ve used it for several years now to back up my photos, and without a problem. Great recommendation Gavin. I haven’t checked for a while – do they do a byte-for-byte or checksum comparison? Hi Victoria, I am trying to “archive” photos from my laptop to 2 external HDs (one I carry with me and the other is a true backup (but not the only one)). I have done this many many times since I started with LR2, but for some reason, I’m either forgetting how I did it previously or something has changed. I only do this once or twice a year. I am using LR CC 2015. Haven’t updated yet. It’s possible to write much of the metadata into the DNG files, including keywords and edits. You’d be missing stuff like flags, virtual copies, collection membership – basically stuff that’s only stored in the catalog. It depends on when you’re converting to DNG – if you’re exporting the finished files to DNG format on the external drive, removing it from catalog, and you don’t care about that information, you’re probably ok. If you want to keep the information in the catalog, I’d still recommend doing it the way noted above. I looked at the last folder I sent to my external drive and yes, I re-imported them. I convert all my raw files to DNG upon initial import, but on the re-imported photos, I’m still seeing my edits, keywords, crops. The only thing that I can see that I’m missing are the histories, which I never look at, so that’s why my method apparently has been working for me. But you’re right, I’m not seeing any flags, but that doesn’t mean I had any in this batch of photos. Not being a professional, I don’t flag or rate all of them. I do make the occasional virtual copes but if any of them are gone, I wouldn’t remember. So here’s my experience (yesterday) with trying to update the folder location: in my 2016 folder on the external drive, my 1H2016 subfolder is already there, it’s the last one I imported. My 2H2016 subfolder has just been copied over and when I click on “2016” and “update folder location” it gives me a choice of 1H or 2H, so it recognizes that 2H is there. But if I select 2H, it replaces 1H in the catalog. If I go back and select 1H, it replaces 2H. So I must be doing something wrong. You mentioned renaming the original folders on the source drive. I haven’t done that, would it make a difference? What are 1H and 2H? Different drives? If so, that’s fine. You wouldn’t want the photos in the catalog twice at two different locations. You just want links to one drive in the catalog, with the other drive mirrored. I’m not sure I can quite follow your workflow here. Might need a screenshot or two. I don’t think you can add screenshots here, but the forum would work. I have an interesting one. I have stupidly exported my photos in to a sub folder in the same location as the originals. These now are showing up in the main view and cluttering up the catalogue. Is there an easier way to move these to a new folder automatically whilst keeping the same folder structure but in a dedicated EXPORT root folder? Yes and no. Not natively. There is a plug-in, but I haven’t tested to see if it’s still working with the most recent releases. http://photographers-toolbox.com/products/lrtreeexporter.php Personally I wouldn’t bother to add the exports to the catalog, even if you decide to put them in a subfolder of the original. Hi. Thank you for any help. My external hard drive died this morning while I was editing in Lightroom. I am now waiting on a 217 GB download zip file from backblaze where the restored images are being put on a new external hard drive that I just set up today. The download has my main folder with about ten folders of images within it. I have many hours to wait for the download, but I am curious of the best way to (hopefully) locating my images via my Lightroom catalog on the new external. Will this be possible? Yes, that’ll be fine. Hopefully they’ll still be in the same folder structure. You’ll just need to “find missing folder” (https://www.lightroomqueen.com/lightroom-photos-missing-fix/) on each parent folder, as you may not have set up the hierarchy. It may even let you show the folder hierarchy (https://www.lightroomqueen.com/articles-page/long-list-folders-can-change-show-folder-hierarchy/) while the photos are still missing, saving you some time relinking. Hi Victoria I have followed your process to move photos from iMac hard drive to external 4tb HD. Are you looking in the right spot? They’ll be showing in the Masters folder under the 4TB volume now, not under your iMac hard drive. That often trips people up, as it’s often collapsed in the Folders panel. If that’s not it, post screenshots of the Folders panel and the new location in Finder on the forum (in the menubar) and we should be able to spot what’s wrong. I’m just about ready to copy all my photos (2TB) from one external drive to a new 6TB one. I downloaded that ChronoSync app, and am ready to use it, but I’m not sure which option. When I get the data from the old drive to the new drive, my plan is to just put the old drive away (as a sort of extra backup), but I don’t see using it for anything else. So I’m not sure if I should use the Folder Backup option, and then UNcheck the last options of archiving, or not? Any help on that would be greatly appreciated. Thanks for providing such great help on your site! Synchronize or Backup would work, and yes, you won’t need the Archive option if it’s a one-way move. Just look out for the Verified copied data checkbox in Options > Special File Handling section so it double checks the files copy safely. Hi! My question may likely be answered above, but I cannot understand any tech-y speak, so none of what I read resonates with me & I also don’t think my specific question was asked. Can you please talk to me like I’m a 5 year old? • I am using LR6 on a late 2016 15″ MacBook Pro. • I currently have all of my LR managed RAW files in one catalog on a 500gb external (FreeAgent) travel drive, which in addition to being the “home” of my RAW files, is also used to edit my images (unfortunately, this is how I was taught at ICP when I transitioned from a darkroom & an SLR to a DSLR). *** This FreeAgent travel drive is the only drive I have ever used (going back to 2009) to work on my photographs & the only place to which I have ever imported my files from my photo’s memory cards (they are not stored on my laptop’s hard drive). • My 500gb external drive is almost full, so I just bought a Lacie Rugged 4TB external hard drive, which I want to use going forward in place of my FreeAgent drive, as I can’t import new images into my 500gb drive (because it’s almost full). • How do I CORRECTLY set the import destination to my new Lacie drive in LR6 so that I can start working seamlessly from the Lacie HD directly, as though I were still working from my FreeAgent drive (so that edits, metadata, copyright info, “picks”, keywords, etc. also transfer to the Lacie drive)? Thanks in advance for whatever reply you provide; I’m at my wit’s end right now. Since you’re not wiping the previous drive, don’t worry about using other software to move the files. In fact, that makes it really safe to do, because if you mess it up, you can start over. Just follow the steps in Option 1 above. If you need us to walk you through it in even more detail, post on the forum linked at the top of the page, but it’s really not complicated. Then once it’s all moved, next time you import photos, make sure you pick the new Lacie HD in the Destination panel of the import dialog. Hi! First of all, thank you for all the amazing tips. When travelling, I usually import my photos with the “Copy as DNG” option in Lightroom. This started as a temporary solution while I figured out how to implement an external drive into the equation, but now it has filled up the 500Gb SSD my MacBook Pro has. Now I’m willing to move all the DNGs (but not the catalogue) to an external drive to free space from my MacBook, but I’m willing to know if after following your instructions I’ll be able to still import directly to my internal drive after new photoshoots, as I would like to edit my recent pictures anywhere without having to have the external drive plugged in. I hope my question is more or less understandable… Thanks a lot for your help again! Yes, that’s fine Diego. Lightroom can store photos on multiple different hard drives. When the external drive is disconnected, you won’t be able to edit photos stored on it (unless you’ve built smart previews) but you’ll still be able to add new photos to your internal drive and edit any stored on the internal drive. Then when you’re done, move them off to the external again, using the instructions above. I am on a Mac, with Lightroom Classic CC. I just copied my 270K photos onto a 8 TB external drive, keeping the same file structure. The old drive is disconnected. I clicked on “Update Location” for the top main folder to this new drive and LR shows the whole list of correct file names without question or exclamation marks, but LR is not displaying my images well. Mostly it shows just gray empty boxes for each image, although it also displays the star icons and icons in the corners showing that edits have been done. It does show some thumbnails in the grid view, but it won’t show any images in the Development mode. I thought maybe it need time to process (re-process?) them, but after sitting an hour, the empty boxes remain. Looking at the left Nav column it looks like LR is “normal” but the actual pictures aren’t showing up. Do you have any ideas? Thanks. In thinking about this, I should mention one other fact that may or may not be important. At the same time of moving the photos off my main drive, I also put in a new (larger) main drive, and so all my apps, including LR, and desktop etc, were copied onto this new drive (which also got upgraded to Mojave at the same time). When you say they don’t show in Develop, is it plain gray or does it say that the photo is missing? There’s a few potential issues here. A permissions problem on the previews is one suspect, or a corrupted monitor preview is often a prime suspect if the photos are found but just not visible.